Second to sippin' on a glass of the fizzy stuff, soaking our bods in a tub full of fizzy fragrant water is the next best thing. We are of course talking about bath bombs, those magical - often colourful - balls of joy we're all a little bit obsessed with. 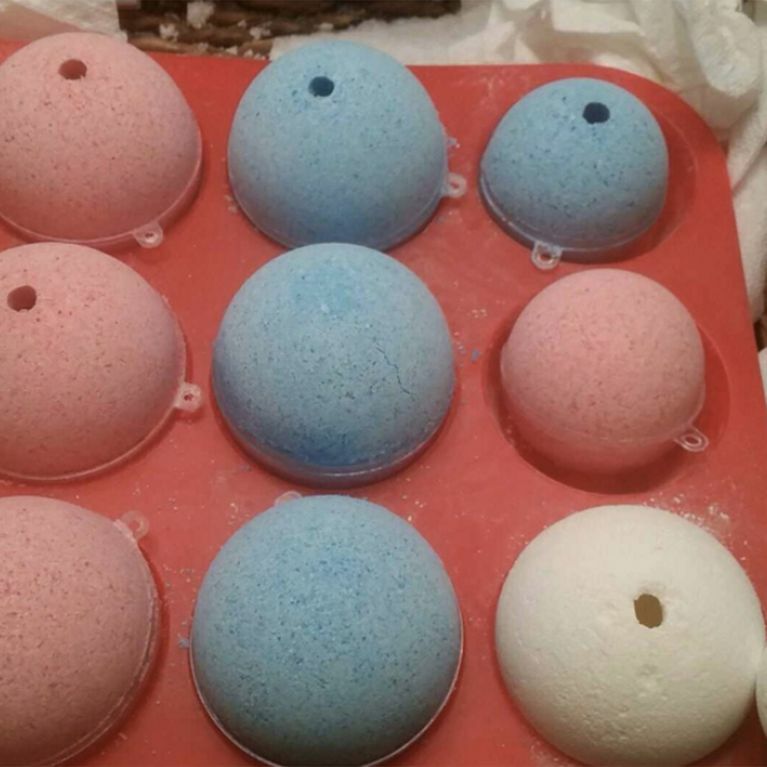 And now, there's talk of customisable bath bombs we're trying to remain calm... and failing. There's nothing quite like the satisfaction you get from dropping a bath bomb into the tub and watching it turn the water intergalactic shades of pink, purple and blue, is there? It's one of life's simple pleasures which is why we like to think our investment in the bath bomb business as a whole is never a waste of time or money. It's an act of self-care, after all. We need colourful, fragrant bath water in order to function properly. So much so, we've become a nation obsessed with those fizzy balls. One doesn't just 'pop' into Lush, one stays there for at least an hour, sniffing and caressing those scented spheroids until one (or ten) resonates with whatever it is our souls are searching for. No you're crazy. Imagine the excitement among fellow tub lovers, then, when talk of customisable bath bombs started doing the rounds. That's right, because being able to pick from oodles of smells and designs isn't enough for us. We're hungry for more - phrase only, please don't go eating your bath bombs anytime soon, they may smell convincingly edible but they're not. Bombshells by Fuze look like ordinary bath bombs only with a little exterior hole. This allows you to drop a capsule of essential oils inside so that you can decide exactly what kind of bath time you need. They then land in a round shell-like cavity inside, preventing the capsules from coming back out again. After choosing which coloured bath bomb you would like, you can then go on to select your oil of choice. You can even go crazy and select multiple capsules, if you so wish. We do wish, we do. The only slightly bad news is that you can't order them on mass just yet. The project, by the Alder Family, is currently in the Kickstarter stages - an American public-benefit platform that helps creators find resource to fund their projects. However, they've already hit their funding target so you can make a pledge and be well on your way to receiving your very own customised bath bombs asap. We don't mean to sound basic, but this could be the best news our baths have ever heard. What do you think of these customised bath bombs? Tweet us @SofeminineUK!